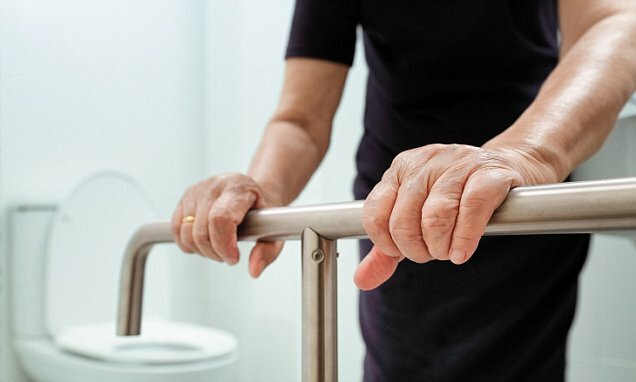 Thousands of men and women are frail in middle-age as symptoms thought to just strike the elderly occur decades earlier, according to a major study. Researchers spotted weakness, slowness and exhaustion, commonly associated with old age, in patients as young as 37. Scottish researchers warned frailty doubles the risk of dying within seven years - even for middle-aged adults. But the scientists, who delved into data from almost half a million people, argued that frailty can easily be reversed. Frailty was defined as the presence of three or more out of five indicators: weakness, slowness, weight loss, low physical activity, and exhaustion. People with one or two indicators were classified as 'pre-frail' by the researchers at Glasgow University. Professor Frances Mair, lead author, told The Times: 'Most men in their thirties, forties and fifties would be appalled to be called frail. The study, published in The Lancet Public Health, delved into data from 493,000 men and women between 37 and 73 years old. Records of the participants were then assessed by the researchers to determine who would be considered frail. Three per cent of all the participants were identified as frail, and more than a third were already beginning to deteriorate.